An upcoming meeting should see the standard kilogram changed. Since 1889, the kilogram has been defined by a cylinder of metal held in vault in Paris – the world’s only true kilogram. Next week, a general conference on weights and measures in Versailles will see representatives from 57 nations vote for change. Many experts want the kilogram to be derived from a fundamental constant - a number woven into the very fabric of the universe. 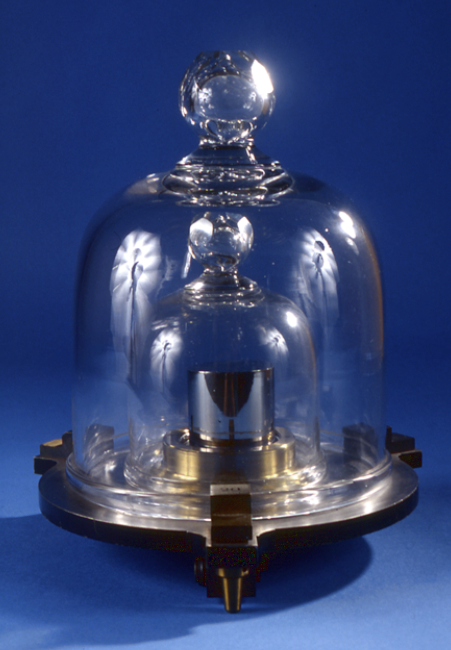 For the past 129 years, the international prototype kilogram (IPK) has been the world’s official unit of mass. However, the IPK’s weight changes as it picks up pollutants from the air, making it heavier, and is cleaned, losing weight as tiny amounts of alloy are removed. Since 1983, the metre has been derived from the speed of light in a vacuum. The new kilogram should be defined along similar lines, using mass derived from the Planck constant. Scientists define this kilogram using a hyper-sensitive piece of equipment called a Kibble balance to calculate Planck’s constant from a 1kg reference mass. The instrument weighs the object by balancing it with electromagnetic forces. If the vote is successful – which almost all involve believe it will be - the new system of units, including updates to the mole, Kelvin and ampere, will come into effect on 20 May 2019.